Justin Judd had only been with online business-optimization software company Omniture for a little more than a year when creative-tech firm Adobe acquired it in 2009. The latter company, expanding rapidly, was looking to add an enterprise-focused business, and Omniture was the answer. For Judd, though, the transition was largely one of scale. When the Omniture legal team joined Adobe’s, they together formed a department of about 100. In the years since, as Adobe has continued to grow with its transformation into a cloud-based business—from $2.95 billion in revenue in 2009 to $5.85 billion in 2016—the legal department has expanded to more than 200. It’s ten times the size of the team Judd worked with at Omniture, and now, as the vice president of the corporate legal group and associate general counsel, he’s one of its key leaders. Today, he’s relying on his background in the development of tech companies and collaborating closely with other department leaders to organize Adobe’s legal team into specialized groups so that it can continue to operate effectively and efficiently despite its size. He’s been working with start-up tech companies since the apex of the first tech bubble, when he worked at PricewaterhouseCoopers and became interested in technology, which led him to enroll in Stanford Law School in Silicon Valley. Afterward, he continued working with tech start-ups at the law firm Wilson Sonsini Goodrich & Rosati. While there, he worked on Omniture’s 2006 IPO, and he eventually joined the company as an in-house attorney. 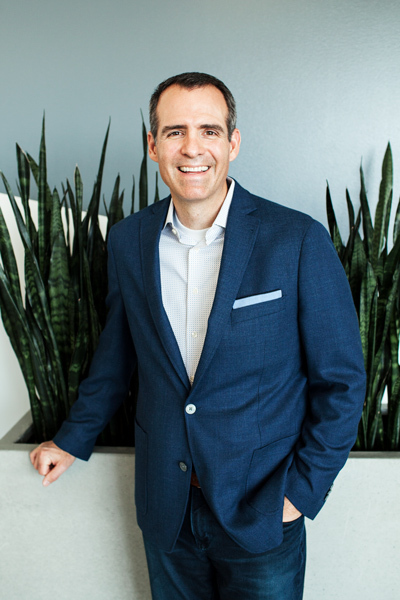 When he joined the legal leadership team at Adobe, he quickly began to develop a clear philosophy of how to organize a legal department to work best for a company of increasing scale. He and the leadership team thought about how a legal department should respond to growth, they looked at Adobe’s geographical and product expansion and its need for specialized groups focused on different areas of concern and began to arrange its legal department in a way that would best support Adobe’s growth. It was a different structural approach than he’d been used to at Omniture. With larger companies comes a need for more specialization, Judd says, and he’s tried to build a scalable structure around sets of specialists. Corporate work at Adobe, for example, was initially scattered among different people in the legal department, and each supported a variety of topics such as real estate or securities or employment matters, often in addition to commercial responsibilities. There was less consolidation into groups. Judd therefore specifically built a corporate legal team, now made up of a dozen professionals covering all the different aspects of Adobe’s corporate work. Adobe now also has a unified legal group for each of its core business areas—digital marketing and digital media—as well as a compliance team and an intellectual property and litigation team. Other teams focus on government relations, privacy, and contracting with customers across all aspects of the business. There’s also a legal-operations team focused on running the department and driving key technology and operational initiatives. Because Adobe’s growth has not stalled and won’t for the foreseeable future, Judd gathers his team every year to talk about what adjustments might need to be made to continue to match the company’s scale.